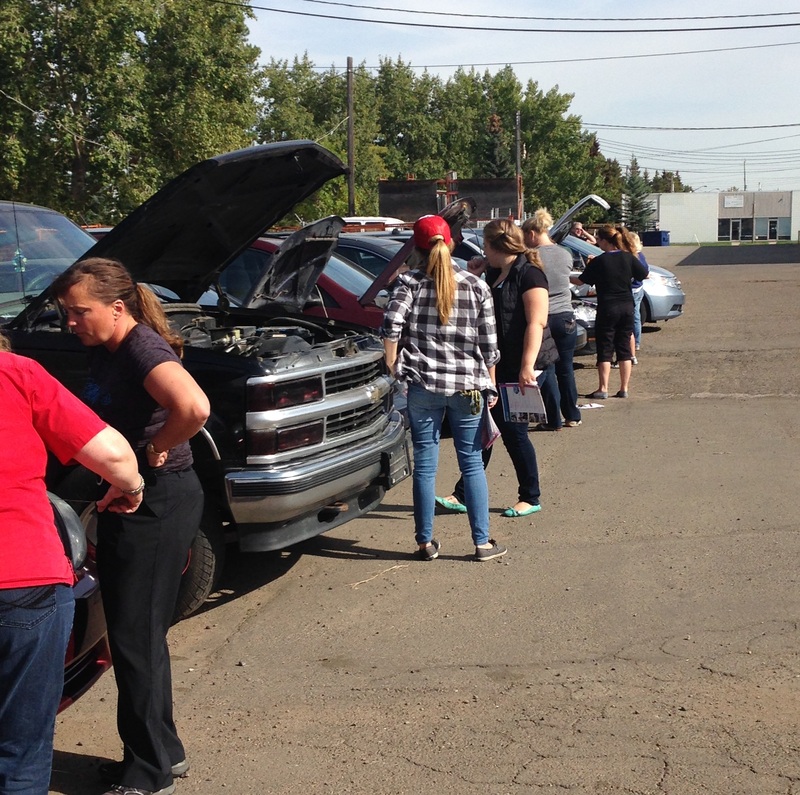 EDMONTON, AB--(Marketwired - September 22, 2016) - It's a car care clinic -- but for women only. On Saturday, September 24, Revolution Motors will be helping educate women who want to learn more about how to care for their cars. They will learn everything from how to check tire pressure, engine oil levels, air filters, brakes, various vehicle fluids, and even what should go into an emergency roadside kit, all in "laywomen" terms. Professional race car driver Kelly Williams will be on hand to host the clinic. "There are a quite a few people who do not understand the basics of vehicle maintenance," says Joel Dohms, General Manager and Co-owner of Revolution Motors. "Vehicles today are very technical and it's important to us that we educate our customers about the repairs and maintenance of their vehicles. When the lines of communication are open, trust is built." Participants will have the opportunity to work on their own vehicles during the ladies car care clinic so that they can familiarize themselves with their vehicle's mechanical components and get a chance to practice "hands on" in a safe garage setting. Empowering women to understand their vehicles is important to Revolution Motors. "We know better than anyone just how costly car repairs can be and the importance of regular maintenance throughout the life of a vehicle," says Dohms. "Our female customers have been asking for clinics like this for a long time because they feel the better they understand their vehicles, the more informed they are when we are explaining repairs." Time: First Session: 9 - 11:30 a.m., Second Session: 1 - 3:30 p.m. This event is one of many that Revolution Motors will be hosting. While this weekend's classes are full, women who are interested in attending a future clinic can like Revolution Motors on Facebook to stay in the loop about future car care clinics. Revolution Motors is an Edmonton-based Alberta Motor Vehicle Industry Council (AMVIC) certified mechanic specializing in auto and diesel repair, tires, brakes and oil changes. A full service auto repair shop, Revolution Motors specializes in diesel repair and mechanical and electrical diagnostics. Certified technicians use state-of-the-art equipment and strongly believe in the best quality service by taking the time to ensure automotive questions and concerns are answered for every customer. A previous ladies car care clinic at Revolution Motors.